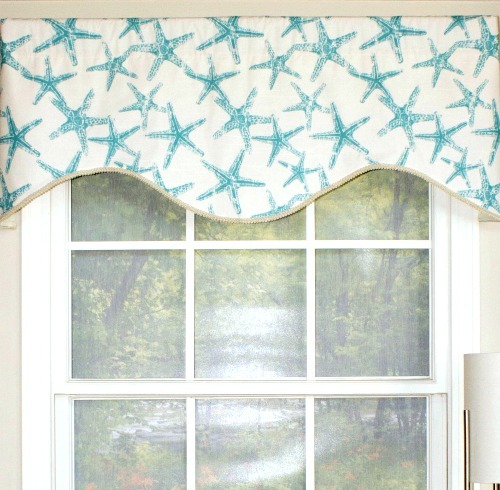 Going coastal with window treatments. 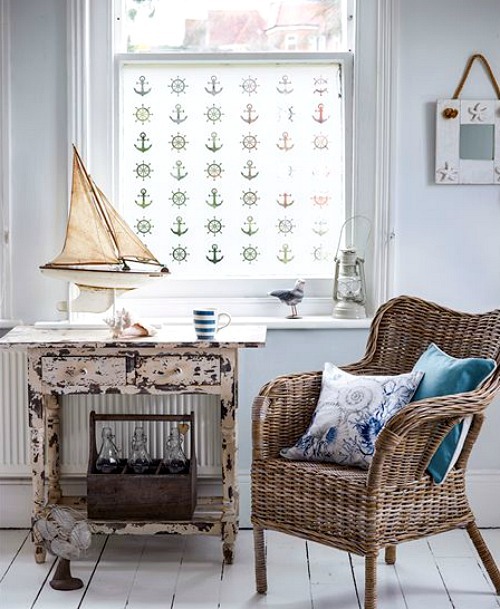 Dress up your windows coastal style with this selection of coastal and nautical window treatments. 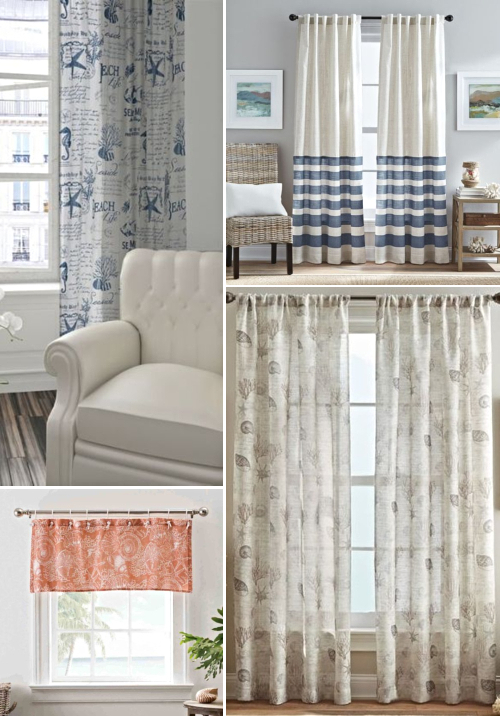 You can find a variety of coastal designs for window curtain panels, valances, as well as sheer window treatments, even a window treatment idea that doesn't involve fabric at all. 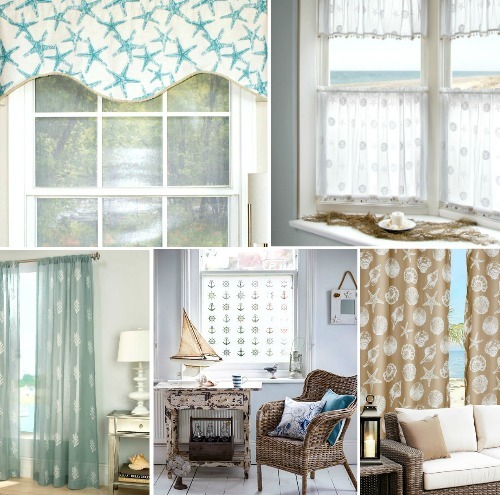 Make sure to click over to the featured stores to view their entire offerings of coastal and nautical window treatments. 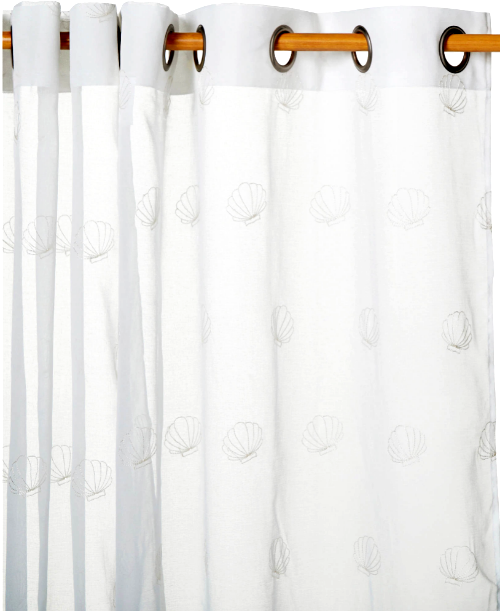 Their wide selection of coastal curtain designs includes panels and valances. The set includes two panels. 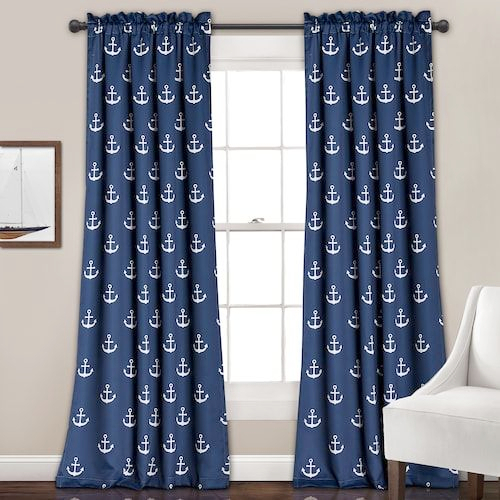 available in different colors and coastal/nautical motifs. 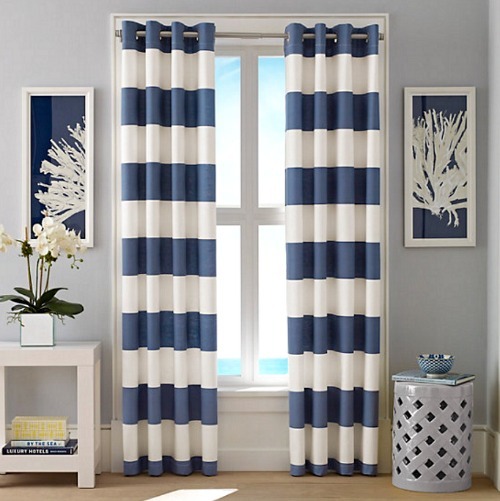 Coastal curtains are sold in sets of 2. Patterns include shells, coral, and starfish. 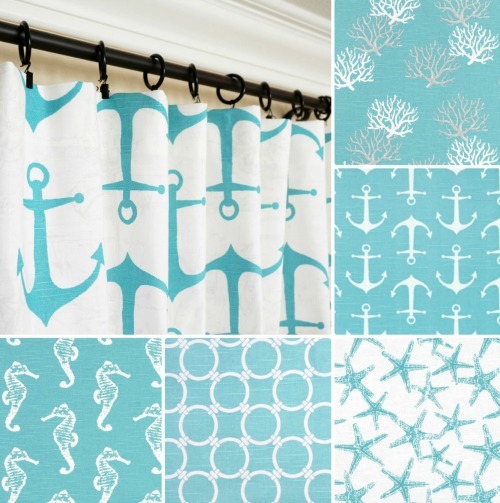 A selection of lovely coastal designs. just cover the top of the window frame. or hide a not so great view while keeping it bright. The only place I found that has window films with coastal design options is Etsy. Browse there, and check out this Ocean Window Film and this Wave Window Film.